The White House observance of Christmas before the twentieth century was not an official event. 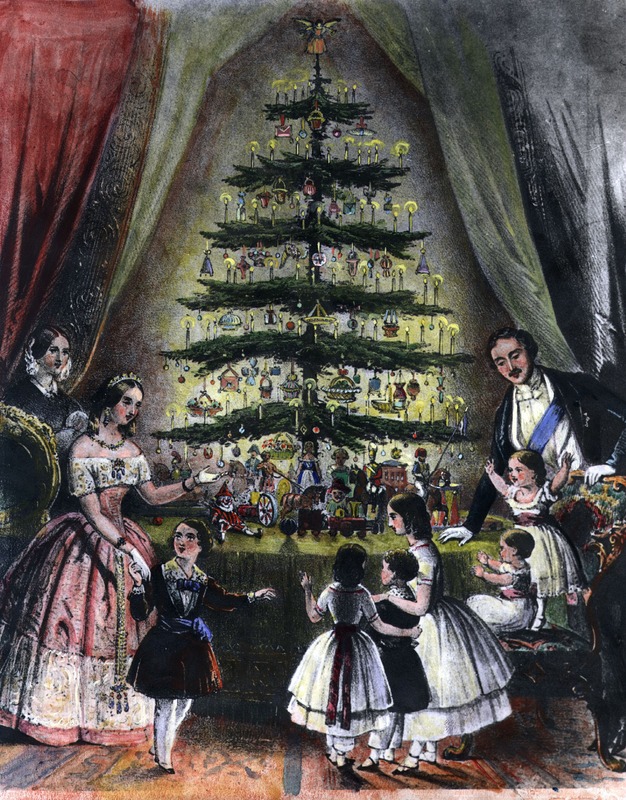 First families decorated the house modestly with greens and privately celebrated the Yuletide with family and friends. 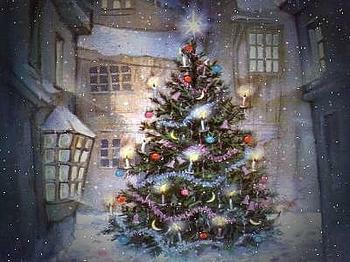 Christmas in Early America: the Pilgrims and Puritans of New England found no Biblical precedent for a public celebration of Christmas (recall that the goal of these groups was to simplify religious worship and to cut away all religious rituals and celebrations not specifically cited in the Bible); nothing in the Bible established any date for the birth of Christ; the holiday was instead established by Roman tradition, thus making it – in their view – one of the many “pagan” holidays that had been inculcated into the corrupt church that had persecuted them, and which they and other religious leaders wished to reform. Consequently, Christmas in New England remained a regular working day. In fact, Massachusetts passed an anti-Christmas law in 1659 declaring: “Whosoever shall be found observing any such day as Christmas . . . shall pay for each offense five shillings as a fine to the country.” The law was repealed in 1681, but the holiday still was not celebrated by religious non-conformists or dissenters (i.e., the Puritans and Pilgrims); it usually was celebrated only by a few Anglicans (later Episcopalians), Catholics, and other more formal or high-church-tradition New England families. 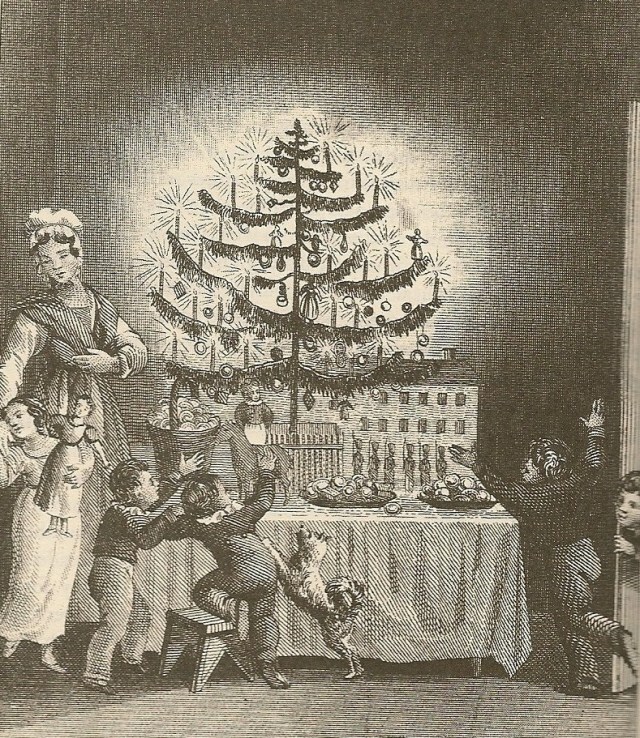 It was not until the 1830s and 1840s that Christmas celebrations were just beginning to be accepted in New England (primarily due to the influence of large-scale Christmas celebrations in cities such as New York) – although as late as 1870 in Boston public schools, a student missing school on Christmas Day could be punished or expelled. By the 1880s, however, Christmas celebrations had finally become as accepted in New England as they were in other parts of the country. In 1889, the tradition of a placing an indoor decorated tree in the White House began on Christmas morning during the Presidency of Benjamin Harrison. In 1895, First Lady Frances Cleveland created a “technology savvy” tree when she hung electric lights on the White House tree (electricity was introduced into the White House in 1891). 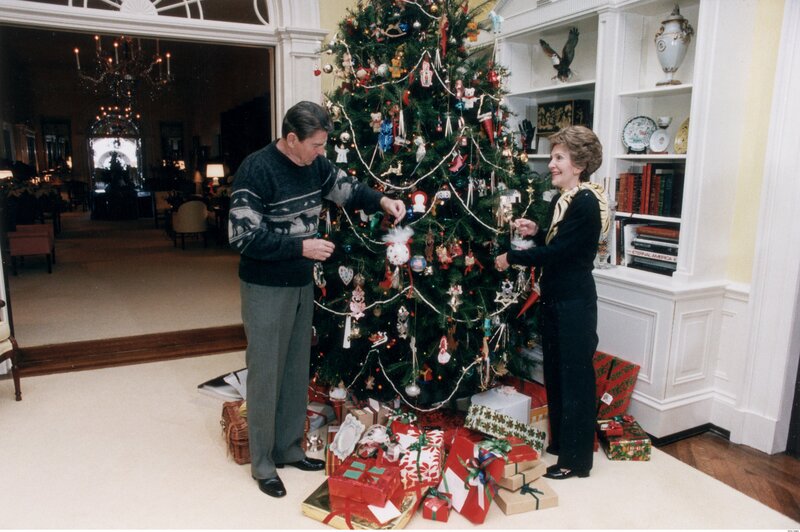 1901-1909, Teddy Roosevelt banned the Christmas tree from the White House for environmental reasons. In 1929, First Lady Lou Henry Hoover established the custom of decorating an official (and not just a personal) tree in the White House – a tradition that has remained with the First Ladies. 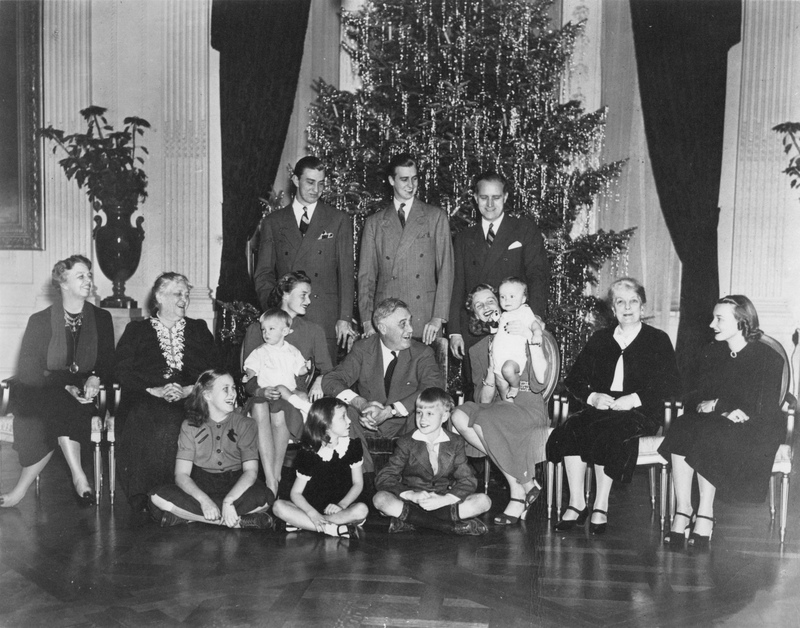 In 1953, the Eisenhowers sought out Hallmark Cards to assist them in creating a presidential Christmas card – the beginning of the official White House Christmas card. In 1954, the annual Christmas tree lighting ceremony is named the Pageant of Peace. It is held each year in early December to light the National Christmas Tree and includes performances by popular entertainers before the lighting of the National Christmas Tree by the President. The National Christmas Tree remains lit through January 1. 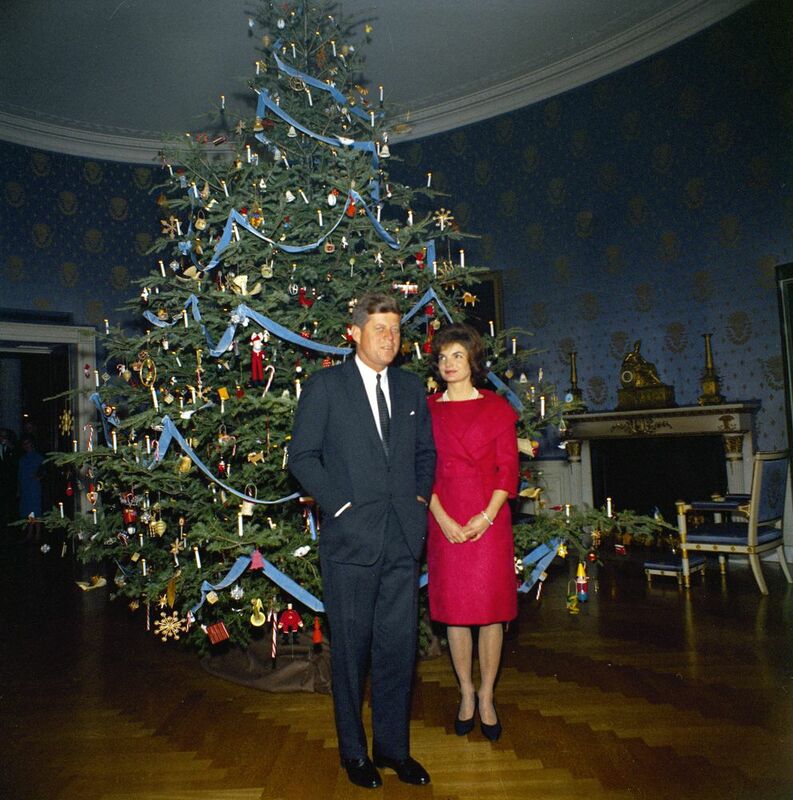 In 1961, First Lady Jacqueline Kennedy began the tradition of Christmas Tree themes when she decorated the Christmas tree in toy trimmings from the Nutcracker Suite ballet by Tchaikovsky. In 1963, the first Christmas card to include an explicitly religious element was the Kennedy card featuring a photo of a Nativity Scene set up in the East Room of the White House. Jack and Jacqueline had signed 30 cards before their final trip to Dallas. None was ever mailed. The National Christmas Tree that year was not lit until December 22nd because of a national 30-day period of mourning following President Kennedy’s assassination. In 1969, the Pageant of Peace was embroiled in legal controversy over the use of religious symbols, and in 1973, the nativity scene that had always been part of the pageant was no longer allowed. In 1979, the National Christmas Tree was not lighted except for the top ornament. This was done in honor of the American hostages in Iran…. In 1981, President Ronald Reagan authorized the first official White House ornament, copies of which were made available for purchase. In 1981, Barbara Bush took the first of twelve rides in a cherry-picker to hang the star at the top of the National Christmas Tree. In 1984, the Nativity Scene was allowed to return to the Pageant of Peace, and when the National Christmas Tree was lit on December 13th, temperatures were in the 70s, making it one of the warmest tree lightings in history. In 2001, the first White House Christmas card to contain a Scripture was chosen by Laura Bush. Quoting from Psalm 27, it said “Thy face, Lord, do I seek. I believe that I shall see the goodness of the Lord in the Land of the Living,” which is what Laura Bush believed would happen after the tragedy of September 11. She chose that Scripture on September 16 (only 5 days after 9/11) based on a sermon the chaplain had preached at Camp David. The Bushes regularly used Scriptures on their Christmas cards. To continue reading this article from David Barton (WallBuilders.com), CLICK HERE.